Jovial Spondoodles: Rainbow Bath Week Day 7: Pink! 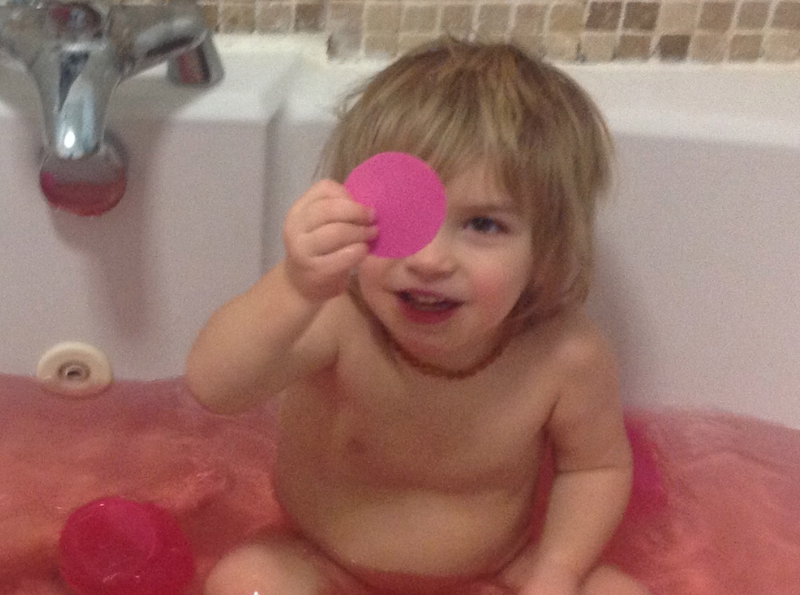 Pink was bath night tonight! The colour was again a little tricky. I did manage to find some pink food colouring in the supermarket but the whole bottle produced quite a wishy washy effect - no where near the strength of the green or orange baths. 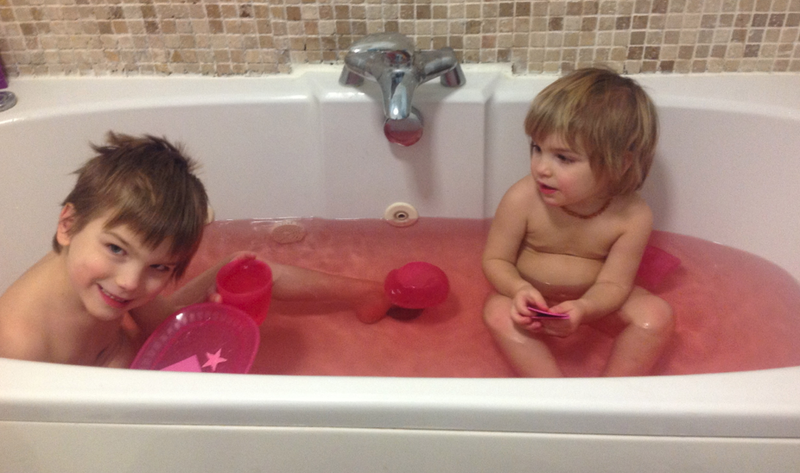 I topped it up with a very little red and lilac and the boys still definitely agreed it was a pink bath! 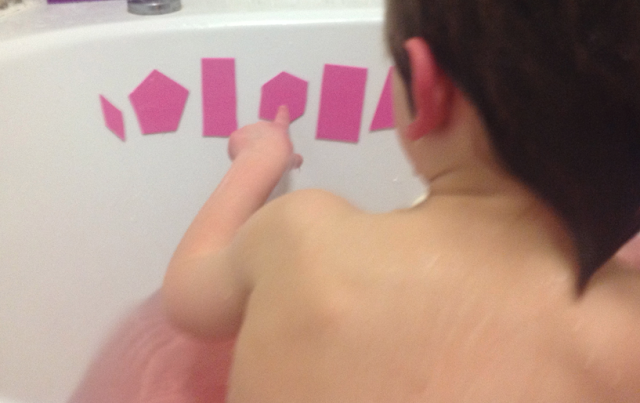 I never realised until today how much of a 'boy' household we have become until I tried to find some pink toys to put in the bath!! 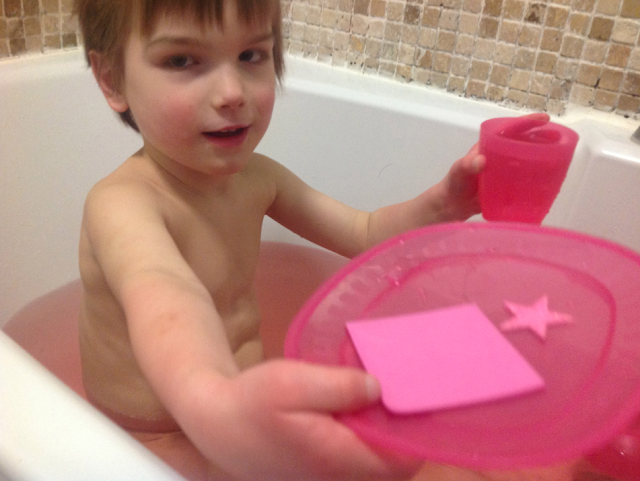 Good old Ikea cups and plates came out again and I took a tip from last night's purple bath and took out a sheet of foam and scissors. Joplin requested shaped like circles and squares which worked well as Eden had been identifying shapes in his gymnastics class today. 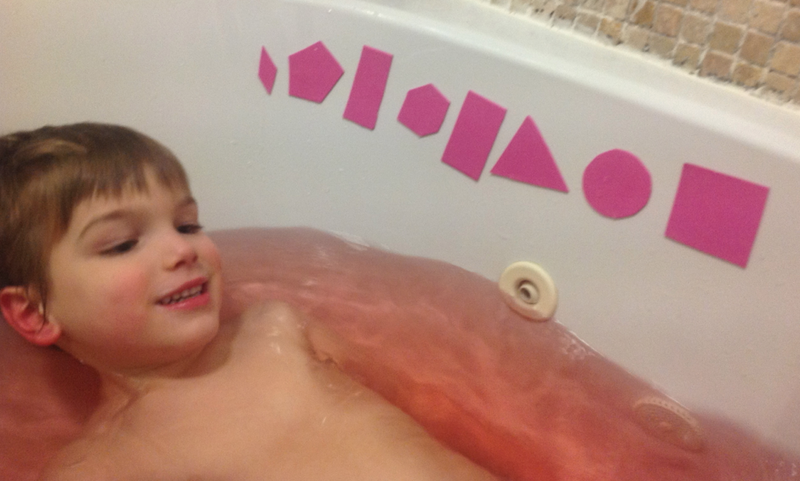 He then requested a Hexagon and I have to admit I cut initially 5 sides before checking it and realised it should have 6! I told JJ that Mummy had made a mistake and that it was a Pentagon then I quickly made a six sided Hexagon! I need to brush up on my shapes too it seems! JJ made me dinner from the shapes! He then wanted to count the shapes - the foam sticks really well to the side of the bath. 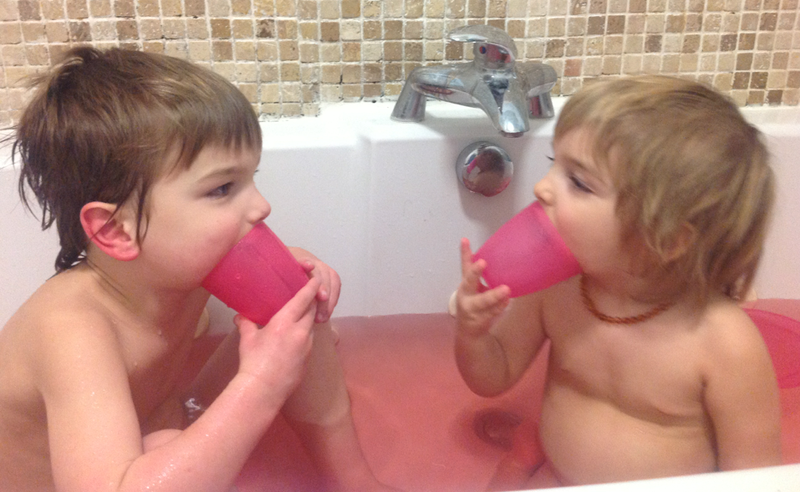 They then had fun trying to work out what each other was saying talking into the cups! I think we have run out of colours! JJ keeps asking for brown though! Watch this space!